My travelling companion, former engine fireman Paul Nutty, is back on the footplate for the latest leg of the Loop Line to Burslem. The Burslem leg of the Loop Line and its station didn’t exactly get off to a good start. “The townsfolk considered it was a long way to walk from the town,” says historian Steve Birks. “Nevertheless in July 1870 the ceremony of the cutting of the first sod took place at Moorland Road on a site that became the station. The Sentinel reported the event when at 3pm Burslem’s Chief Bailiff, a chap name John Watkin, cut the first clod of earth and carried it away in a wheelbarrow. The Potteries Loop Line was completed as far as Burslem in 1873. 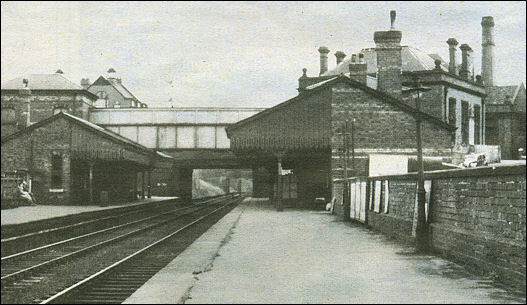 Up to this point the mainline station at Longport had been named Burslem under the ownership of the North Staffordshire Railway Company. But from the day the Loop Line opened it became known as Longport. It is also interesting to note that on a 1902 map Burslem Loop Line station is referred to as Hamil Station; though in truth the station is clearly in Moorland Road. Although the station was opened 1873 the stationmasters house wasn’t built until 1891. The current owners Carol and Geoff Hassall have lived here for the past 20 years. It is the only stationmasters’ house on the Loop Line to survive. 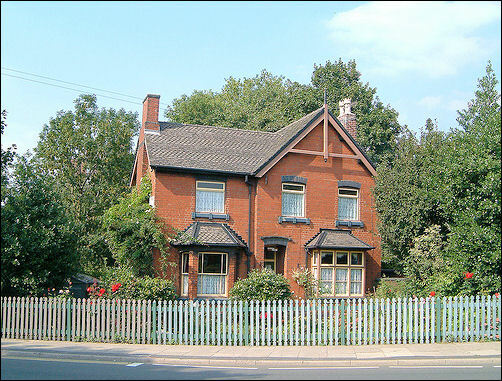 This house is called Station House and was the Station Masters house when Burslem had a Railway Station. The lines ran along side this house and now form the greenway. Geoff recalls the house had been empty for 19 years before he and Carol moved in. Retired police chief, Tom Parton age 85, who lived the house for two years just after the war, agrees. 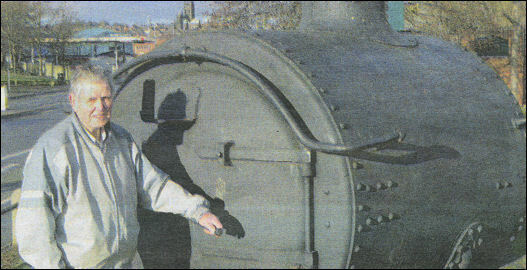 Tom’s father lived for and loved the railway. One person who knew the Loop Line and Burslem Station well was the author Arnold Bennett. Bleakridge, Cobridge in reality, was where the Bennett family lived. The station was built for rich people and it is where the most knowledgeable of all Loop Line aficionados are waiting to tell me all about it next week.